In deep fryer or deep saucepan, heat oil to 350°F. Separate dough into 8 biscuits. Cut each biscuit in half; press each biscuit half into 3-inch round. In center of each biscuit round, place 1 piece of chicken, 1 piece of cheese and 1/2 teaspoon ranch dressing. 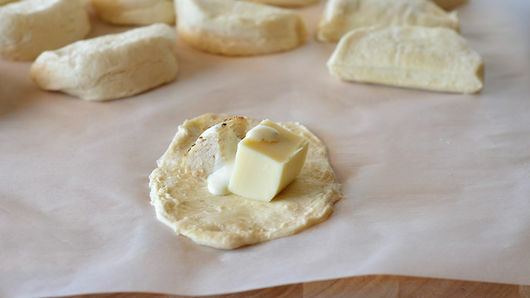 Wrap dough around filling; pinch seams to seal. 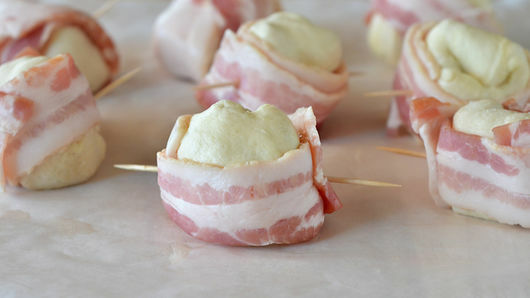 Wrap 1 slice of bacon around each filled dough ball. Secure with toothpick on each side. Gently drop 2 bombs into hot oil; fry 4 to 5 minutes, turning occasionally, until dough is golden brown on all sides. Place fried bombs on paper towel-lined plate to soak up excess oil. Repeat frying process with all remaining bombs. 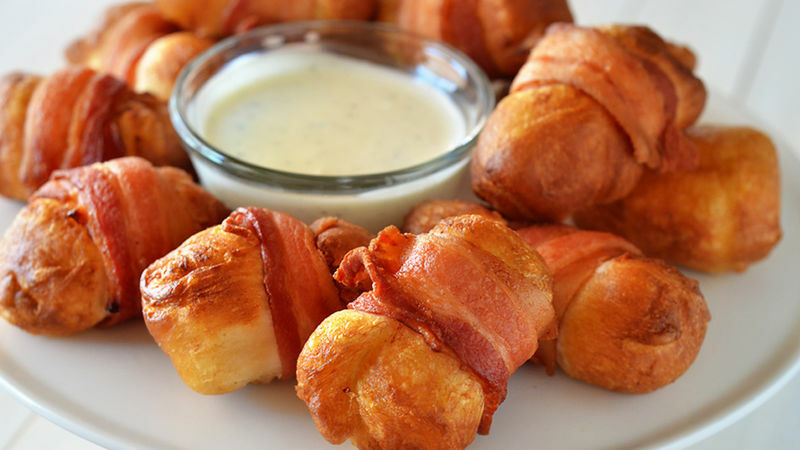 Serve with remaining ranch dressing. Try Cheddar cheese instead of mozzarella. Add a jalapeño for a little heat!